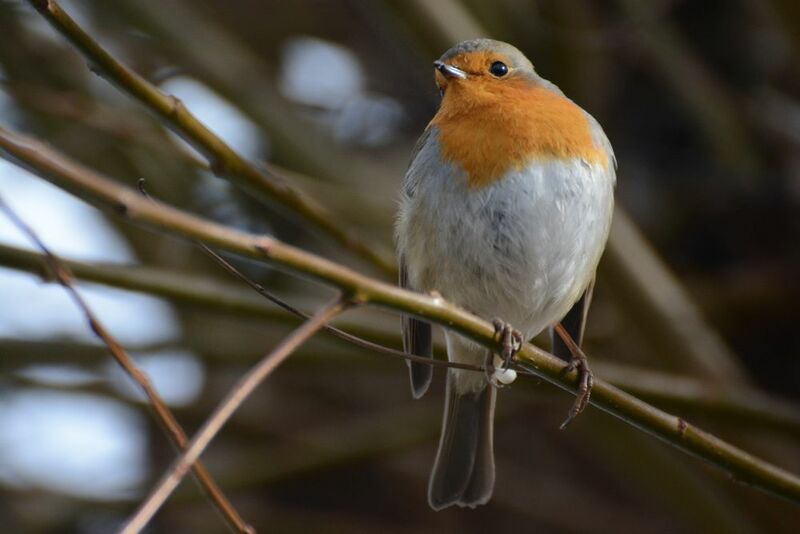 I posted already a Robin today, but I have another photo that I want to share. It’s because I saw several of them today, and I had a little bit of luck to get some decent shots. The days get brighter now that we start to see a little bit of sunshine. I hope to see even better lighting conditions soon, because I’d like to take some pictures with low ISO and less image noise. The photo in this post is shot at ISO 1250 and there is still a bit of noise visible, but at least I didn’t have to shoot at ISO 1600 today. I did let my camera decide for the ISO, because when I try to take pictures of birds, I still don’t have the courage to set everything manually. I am afraid I could miss a chance to take a good photo of little cute birds, because they don’t give you a lot of chances to take several photos.